ACLS Training Center resource with information and links for coaches on important first aid prevention and care. A great resource for players, coaches and parents to learn more about the game of Lacrosse !! A broadband channel dedicated to youth sports coaching and instruction. The site, designed for use by parents, coaches and kids, offers detailed video tips, drills, instructional guides, feature articles, interactive training and analysis tools and more for all major youth sports. Professional sports action photos at the click of a mouse! RightShotZ offers amazing quality sports action photography of your athlete at reasonable prices. Each weekend, photographers will be on site at Hart Middle School photographing various games. These photos will be available to view by team name and date and may be purchased online by the following Monday at the PLC RightShotZ link. It is as easy as checking the website (click on the logo above) each Monday to see your Athlete in Action! 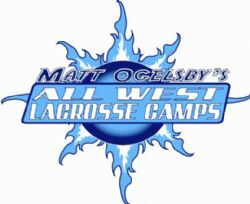 Three locations in the Bay Area meeting all of your lacrosse needs.